Tree ordinance?! Permits?! For trees and shrubs? Many people are unaware there is an ordinance that governs plants on Town property or in the right of ways. There are areas in the town limits that are actual town property and governed by the laws of the town. It may appear each property holder has ownership to the street, however this is not entirely accurate. Town-owned property along streets extending beyond the edge of the road. Vary greatly throughout the town and can be different for every block. It can vary from less than 2’ or over 30’, in some instances. The permitting process helps determine the distance, when the Town Manager or Superintendent is contacted, they can provide information on the R/W area and the protocol for obtaining permits to perform work. Typical examples would be the lawn strip between street and sidewalk. This area typically belongs to the Town. Because the Town owns this property, permitting is required for any work in this area, whether it is digging, trenching, planting or pruning of trees and shrubs. In addition, this process prevents trees from being damaged, or injured in a manner that compromises public safety and health. 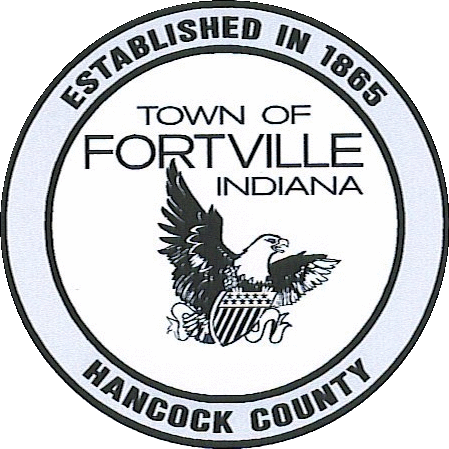 The Town of Fortville staff is responsible for the enforcement of this permitting process and it serves as a protective mechanism for the safety of the people and the trees in the town. They can offer information regarding the ordinance process and the installation of plant materials, maintenance and long-term care of our trees. Contrary to the belief of many, the permitting is not a means of power or control. It is simply a method of tracking planting activity within the town property and to monitor tree health. In addition, it prevents people from planting trees that are detrimental to the safety of our streets. The selection of trees is important. The wrong tree or improperly placed or planted trees can create hazards and additional maintenance costs to the community. For more information on the “right tree for the right place”, contact the Town of Fortville Street and Utilities Superintendent. Primary Purpose- public safety…and to protect the Community Landscape. It is the responsibility of the Town and the Citizen to take care of trees and protect people and property. Process of enforcement is indicated within the Ordinance and the Violation process, includes verbal and/or written notification of any violation with a prescribed deadline for compliance. Permits are required when any work is to be done on or around trees/florals on Town-owned property. Just as importantly, when any planting is to be done on town-owned property, a permit is required. Click here and then print out a copy of the permit. Purpose- monitoring system to assist the Community Foresters in protecting and maintaining a safe and healthy Urban Forest. Ensure trees are not removed needlessly. Actually, only dead or hazardous trees are removed. Ensure trees are being maintained property, PRUNING, NOT TOPPING! Appropriate tree species are being planted in the right locations, RIGHT TREE, RIGHT PLACE. Hazardous situations are not being created… blocking sight lines, utility conflicts, damaging root systems, for example. Cutting trees down, just for firewood or because it is in the way of a satellite dish. Planting trees, which might block the view of traffic or pedestrians. Installing poor quality street trees, such as Bradford Pears, Silver Maples, Poplars, and fruit trees, which can become a nuisance or danger to street and sidewalk traffic. The Private property owner is liable and responsible for maintenance of privately owned plants that infringe upon public property, or their neighbors property.